Cute, friendly, and playful, everyone knows that Labrador Retrievers make great family dogs. What most people don’t know, however, is that Labrador Retrievers were actually designed to be even better hunting dogs! Check out why Labs are great hunting dogs and why you should consider bringing your Lab along for your hunts. Labrador Retrievers first emerged in Newfoundland, Canada, where breeders sought to create a dog that could withstand tough work and sport. To survive the volatile Canadian environment, the dogs developed thick, water-resistant fur and strong bones. This makes them extremely equipped to thrive in conditions that are far from ideal. They also have a strong musculature, which makes them agile and sturdy throughout long hunts. Though Labs are biologically predisposed to be superior hunters, they can’t become skilled without consistent training and supervision. Start with simple commands like “come” and make sure that your dog can reliably respond to your commands, as this is crucial for hunting. Add “sit,” “stay,” and then retrieving commands after your dog learns the basic commands. Then teach selective retrieving by sending out some targets and making your dog wait for your command until they retrieve them. Most Labs have a steadiness and cool energy that makes them reliable even in tricky or dangerous situations. However, it is important that you check if your Lab can remain calm and collected in the presence of a hunting gun. This is a key trait in a good hunting dog, and although Labs are designed to withstand the wear and tear of hunting, they may become hyperactive or unsettled after hearing a loud gunshot. You should never put your dog in a situation where they feel unsafe! Although other dog breeds also make great hunting dogs, Labrador Retrievers are inherently one of the best hunting breeds — and they are great family dogs! 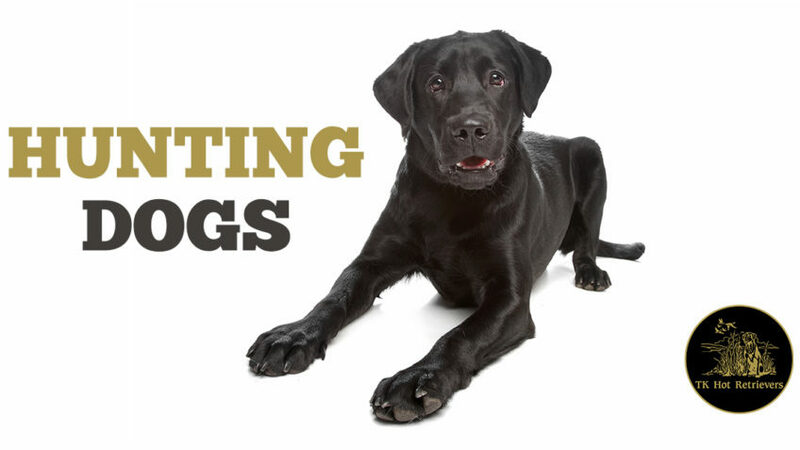 With proper training and care, your Lab could become your most valuable hunting companion. Want to learn more about what our professional gun dog training services can do for you? Click learn more and we will get back to you ASAP.